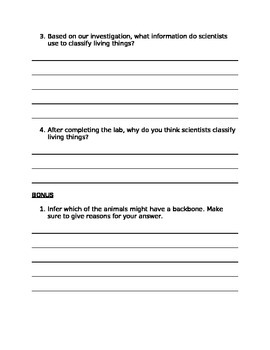 This lab activity asks students to think about the traits/characteristics of animals. 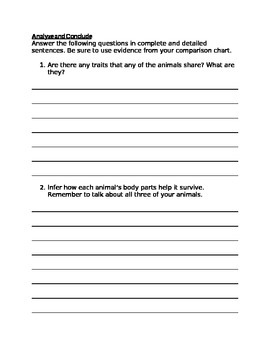 It is an introduction to the classification system that scientists use for all living things. In this case, they are focusing on the Animal Kingdom. 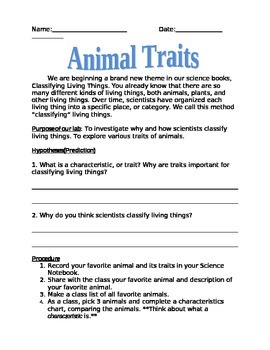 They start by describing their own favorite animal, which leads to a class discussion. The class then reflects on what characteristics they used. Then they proceed to fill out a characteristics chart. 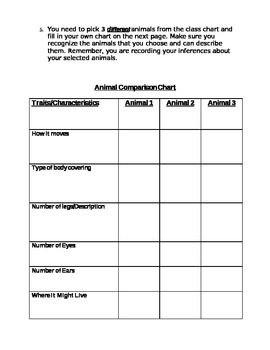 At the end, they independently analyze their chart, looking for similarities and differences among their selected animals.